With the change in weather, allergies have become commonplace. Montek LC contains specific compounds that work to help fight allergies. But how does Montek LC function? How does it relieve your allergies? This post has the answers. Keep reading. What Is Montek LC? How Does It Work? What Allergies Does Montek LC Help Fight? 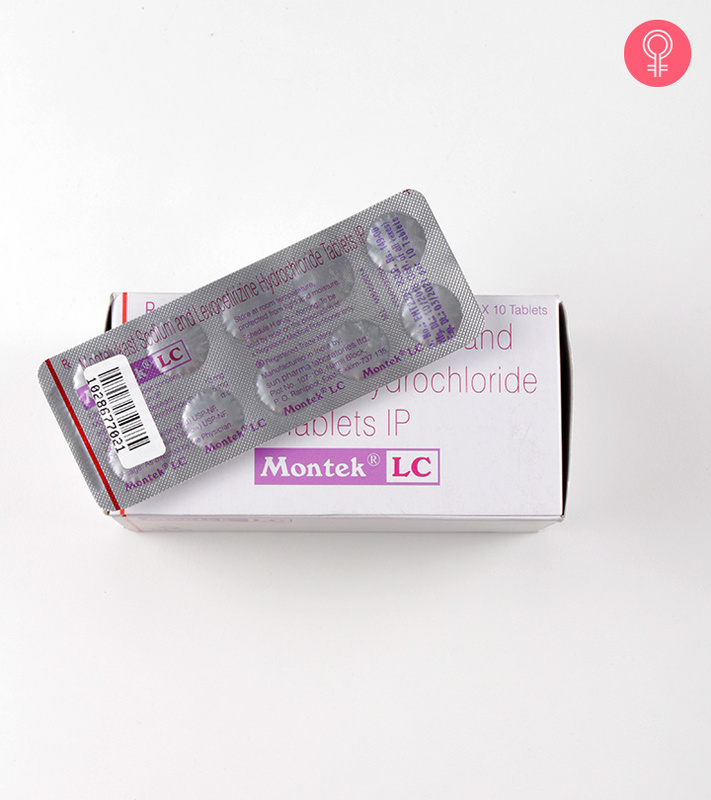 Montek LC is comprised of two drugs – Levocetirizine and Montelukast. Levocetirizine is an antihistamine. It fights allergies by suppressing the activity of histamine, a natural substance the body generates during an allergic reaction (1). Montelukast is a leukotriene receptor antagonist, which works by decreasing inflammation and nasal congestion (2). It fights allergies by keeping the airways to your lungs open. Both of these, in combination (which is, Montek LC), serve as a potent treatment for seasonal as well as year-round allergies. Allergies. What kind of allergies? Let’s look at them now. 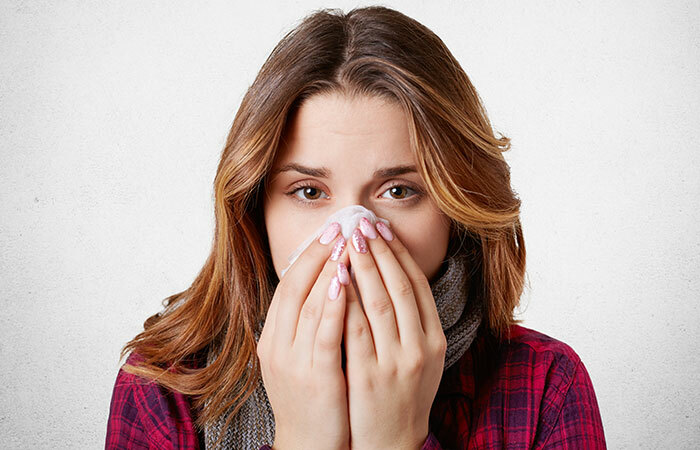 Also called hay fever, allergic rhinitis is an allergic response to certain allergens. Pollen is the most common allergen that causes the response. The symptoms include itchy and watery eyes, sneezing, and a runny nose. Given that it is an antihistamine, the levocetirizine in Montek LC can show immediate and effective results in treating eye and nasal symptoms (3). In fact, the efficacy of levocetirizine is far superior to other antihistamines in its class. Studies also show similar effects with montelukast. The drug is rapidly absorbed into the bloodstream and achieves 64% bioavailability in less than 4 hours of intake (4). Also, combining montelukast with cetirizine had shown additional benefits in the treatment of allergic rhinitis (5). An Italian study shows that treatment with levocetirizine can improve the quality of life in patients with asthma (6). Levocetirizine also has anti-inflammatory effects, which can help relieve asthma symptoms (7). Studies also show that leukotriene receptor antagonists, the class of drugs montelukast is a part of, can ease asthma symptoms (8). Montelukast was also found to improve pulmonary function. In a study conducted on patients who had bronchitis, addition of montelukast to the treatment option had reduced illness symptoms significantly (9). Levocetirizine can also help in this regard. It is a potent antihistamine that can help relieve symptoms of bronchitis and other respiratory conditions like asthma (10). Some sources also suggest that Montek LC can be used to treat cold and a running nose. There is unclear information with respect to sinusitis, though. In one study, use of montelukast in mice with sinus infection had increased the bacterial growth (11). We don’t recommend you use Montek LC for treating any of these ailments. But, otherwise, the use of Montek LC has been well documented in treating the allergies we have discussed. And like any medication, Montek LC comes with a set of concerns. If you experience any of these symptoms, please contact your doctor right away. Montek LC works great for treating allergies. With the right information about the medication, you can get back to your best health in no time. But, do check with your doctor before you use it. 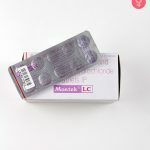 Can you use Montek LC during pregnancy? Montek LC is safe to be taken during pregnancy. And the risk of any major issue is quite low. However, please consult your doctor. How to take Montek LC? You can take the medication with or without food. Taking it in the evening works best as it might make you drowsy. But all of this will depend on your health condition and your doctor’s advice. Can you take Montek LC with alcohol? No. It can increase the risk of side effects of the medication with respect to the nervous system. These include dizziness and difficulty in concentrating. How long does Montek LC take to work? The effects can be seen in just about an hour. “Levocetirizine”. US National Library of Medicine. “The leukotriene receptor antagonist…”. European Journal of Clinical Pharmacology. “Once daily levocetirizine for the treatment of…” Journal of Asthma and Allergy, US National Library of Medicine. “Montelukast in the management of allergic…” Therapeutics and Clinical Risk Management, US National Library of Medicine. “Montelukast plus cetirizine in the…” Allergy, US National Library of Medicine. “Levocetirizine in persistent allergic rhinitis and…” Clinical and Experimental Allergy, US National Library of Medicine. “The anti-inflammatory effects of levocetirizine…” Allergy, Asthma, and Clinical Immunology, US National Library of Medicine. “Montelukast in asthma…” Therapeutic Advances in Chronic Disease, US National Library of Medicine. “Efficacy of add-on montelukast in…” Chinese Medical Journal, US National Library of Medicine. “The anti-inflammatory effects of…”. Allergy, Asthma & Clinical Immunology, US National Library of Medicine. “Effect of montelukast on bacterial sinusitis…” Annals of Allergy, Asthma, and Immunology, US National Library of Medicine. 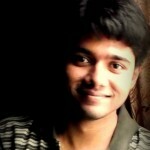 “Adverse drug reactions of montelukast…”. Pharmacology Research & Perspectives, US National Library of Medicine.